On this course, you will learn to make a difference to the lives of babies and young children by understanding how they develop and learn. You will learn how to meet the needs of children, and to understand the role of the family and society. The programme promotes a child-centered approach to care and education, taking account of physical, educational and emotional needs of babies and young children. The programme takes account of wider policy developments, which highlight the importance of both care and education for pre-school children. 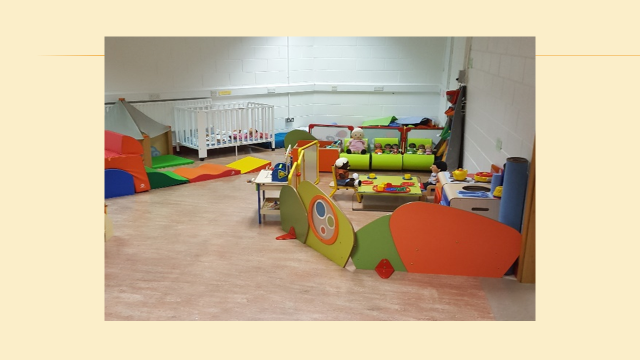 The simulated early years’ setting in the AIT early years’ lab and module assignments will provide you with opportunities to plan for and supports children’s interests and abilities. 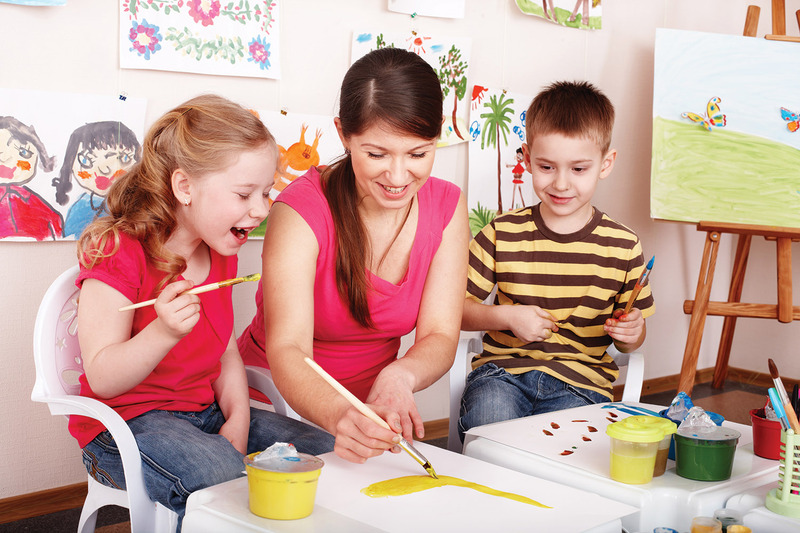 You will study the influence of the family and society on child development. Throughout the duration of the course, you will develop knowledge and understanding of the value and ways of working with parents, and of inter-professional collaboration to support the best interests of children. Graduates from this programme are eligible to apply to join AIT’s one year add-on Bachelor of Arts (Hons) in Early Years’ Care and Education. As a graduate you can reasonably be expected to work as an Early Years’ Educator (various roles such as Assistant, Room Leader, Assistant Manager, Manager) in full day crèche settings, part-time, sessional (ECCE), afterschool, breakfast club, naíonraí (with Irish language); parent and toddler groups and drop in care settings. Curricula approaches most frequently identified in early years’ settings, which incorporate the Aistear curriculum framework and Síolta quality framework, are Montessori, HighScope and play-based. There may also be opportunities to work in outdoor preschools/Forest Schools. This role may include such responsibilities as the development and evaluation of programmes of care and education which support learning and development; to work as part of a team to develop quality improvement strategies to enhance the quality of experience for all children and staff. All students on this programme will undertake National Vetting Bureau procedures prior to commencing their work placement. Failure to disclose previous convictions will result in students being dismissed from the programme. Previous convictions, depending on their nature, could result in student dismissal from the programme. Grade 06 at ordinary level in five subjects in the Leaving Certificate examination. Two of these subjects must be Mathematics and a language (English or Irish). Note: An FL2 in Foundation Level Mathematics will be accepted as meeting the minimum Mathematics requirements for entry to this course. Mature applicants are not required to meet the minimum entry requirements. However, an interview may form part of the selection process. Up to 15 places are reserved for FETAC students. Any QQI Level 5 qualification is acceptable. Applicants, however, must hold one of the following awards: 5N1370 Social Studies / 5N1279 Human Growth and Development / 5N1770 Early Care and Education Practice / 5N1765 Child Health and Wellbeing / 5N2705 Care Provision and Practice / 5N1764 Child Development / 5N1773 Early Childhood Education and Play / 5N1786 Special Needs Assisting. Learning & Development for HE, Sociology for Early Years, Principles and Practices in the Early Years’ Setting, An Introduction to Curriculum in the Early Years, Foundations of Child Development, Creative Skills in Art and Drama in the Early Years, Personal Development and Leadership, Promoting Health and Wellbeing in the Early Years; Practice Placement (Semester 2 only: 162 hours) . Creative Skills and Play in the Early Years’ Setting, Social and Emotional Development of the Child, Early Childhood Law 1, Models of Education: Applying High Scope and Montessori in the Early Years’ Environment, Play and Physical Skills in the Early Years Setting, Food Safety and Applied Nutrition in the Early Years’ Setting, The Political Context of Childhood, Language and Cognitive Development, Applied Curriculum in the Early Years’: A Dialogic Approach, Practice Placement (Semesters 1 & 2: 204 hours). Pedagogical Approaches, Early Years’ Social Policy, Business Management in the Early Years’ Setting, Second Language Acquisition, Children’s Rights – A political perspective, Introduction to Research Methods, Inclusion in the Early Years’ Setting, Early Childhood Law 2, Practice Placement. (Semesters 1 & 2: 144hours). Students experience the variety of the early years’ sector through placements in different early years’ settings, thus providing the opportunity to link classroom learning with work- based practice. As a graduate of the Level 7 programme, students will be eligible to progress to the Level 8 BA (Hons) in Early Years’ Care and Education.